Hybrid Reverb, Software convolution reverb from VSL (Vienna Symphonic Library). The Vienna Symphonic Library team is introducing a new audio processing plug-in for their software bundle Vienna Suite. Hybrid Reverb combines convolution impulses with algorithmic reverb tails, providing editing options in a plug-in. With the addition of Hybrid Reverb, Vienna Suite now includes 10 audio processing tools for mixing and mastering with 64-bit processing, supporting the formats AU, VST, VST3, and RTAS. 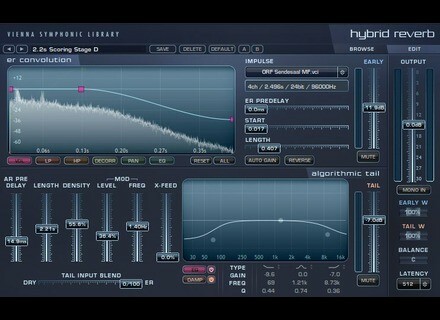 Customers who buy Vienna Suite through June 30, 2011 will get all 10 Vienna Suite plug-ins – including the new Hybrid Reverb – at the current price of €445 / US-$695. On July 1, 2011, the price of Vienna Suite will go up to €475 / US-$745. Existing Vienna Suite users may download the new software update at any time, free of charge. The full version of Vienna Suite with a free 30-day trial is available at the Vienna Symphonic Library web shop. 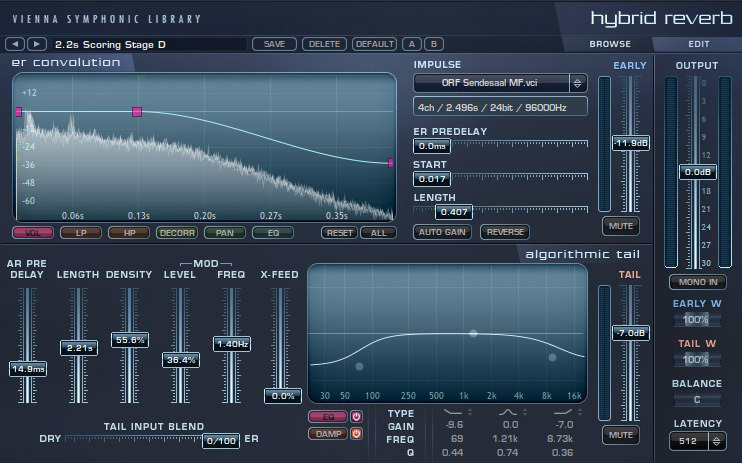 Nils Schneider Updates GPU Impulse Reverb Nils Schneider has updated his GPU Impulse Reverb VST effect plug-in to Version 1.07.